Self Talk – Learn how to retrain your brain. The biggest element that influences our thoughts and actions is our inner-voice (an analogy of self-talk). It is the underline cause of our thoughts, and creates the outcome of what happens in our lives, though many people are unaware that the inner-voice really even exists. Your inner-voice is the voice of your thoughts, the internal critique within your head. It constantly changes due to your feelings, experiences, overall moods.Many patterns often begin at early childhood beginning with the influences of family and friends learning their erroneous behaviors. In a perfect world, a happy and positive childhood would give us a positive inner dialog of thought and in turn a positive attitude. So,the opposite is also true, Negative thoughts and beliefs lead to negative outcomes which lead to negative experiences. Cognition (Thinking): ask your self who taught you to think and feel? No, one, you had to learn this yourself, unlike every else you were taught. Becoming aware of your inner-voice can be a life changing experience. It is the prime influence over you, an individual with an individual personality. Like a magnet, your inner voice attracts a reflection of itself , through reversed pscyhology (coue’s law of reversed affect) and negative self suggestion. This in-turn produces negative feelings, thoughts, negative talk attracts negative outcomes, thus your health also becomes a victim of negative thought process. Reversed effort (Coue’s Law): Say ‘to yourself or to someone else’, ‘DONT THINK OF ZEBRA’s, its inevitable you or the other person will think of the opposit. An Inner voice that is out of control reflects an individual that has no internal locus of control, in other words has no overal influence and control of their own lives. Taking control of this area of your cognition (thinking) will help you deal with the problem at its root. I believe the most important area of self-development is understanding your inner-voice. Many problems and anxieties that are experienced by my clients in their lives could be reduced or completely eradicated. This can be done by simply taking control of that negative little conversation you have with yourself known as self-talk. Self-talk is a very natural process that we all experience all of the time, it defines who we are, whether it be good or whether it be bad. The inner-voice is the voice in your mind doubting your every move; often know as you critical self. Our inner-voice dominates our thoughts, our angry self-talk expresses as angry or negative thoughts. Everyone’s inner-voice or self-talk ultimately affects everything we do from our personal to our professional lives. Your inner-voice will even cause you physical issues through constant repetition of negative thoughts and beliefs about others and yourself. The Critical You: Imagine if you lived everyday with someone constantly criticising you (lol, dont say your wife or husband), I mean really got at you, all the time, 24-7. You would end losing it, or even worse you ended up listening to them and believing them, eventually feeling emotionally drained and your self-esteem rock bottom. That is the same with YOUR inner-voice. Ask yourself who is the most critical person in your life? No it’s not a parent, or even someone else, it’s YOU! Try this: For just half hour a day, pay attention to that ‘inner voice’ of your own. When you think to yourself ‘It’s going to be a lovely day today’, what does your inner voice say? ‘Im going to get all that ironing done today’, what does your inner voice reply? When you tell yourself ‘I need to go on a diet’, what is the reply? Chances are that your ‘inner voice’ wasn’t as positive, helpful, supportive towards you, as you would like? I will attempt to help you learn to understand how to take charge of your life and your inner-voice. Negative self-talk must be contained at all cost. Like a disruptive child it will go to any lengths to dominate your thoughts, and get its own way, then cry and whine when things go wrong. So how can this be changed? If you are driving through an area of town that makes you feel uncomfortable, you would find an alternate route, even if that new route takes longer, even if its in another direction, you avoid that danger area. You create a change to avoid feeling uneasy or scared. To begin with you may not feel comfortable with the change because it may feel unfamiliar with you, but you soon get used to it through repetition. But, most importantly, you are no longer bothered by feeling uncomfortable, the danger has been averted. This is much the same with self-talk, new patterns and programs brought into play create a new stimulus . . . a new route to where you really want to go that avoids the old disruptive route. How to program a new self-talk pattern. We all have five senses which are known as critical sub-modalities these are; vision, touch hearing, taste and smell. One of the five is the significantly apparent. The dominant sense for males is often visual. They get the most stimulation from what they see. The most common for women is often feeling. There are obviously exceptions for this as it is a generalisation. In fact we use all the senses, but in general the first three will serve for me to illustrate how we can use them to create new and stimulating self-talk patterns. We want a method that is convenient and easy to access all of the time. Here is a simple technique that really works. This technique will bring your negative self-talk and negative thoughts about yourself under control. We will also be using all three senses, visualisation and feeling as a vehicle to retrain the way you think. Please remember that your brain is essentially a muscle, just like all the other muscles in your body and if trained, will respond accordingly, it’s simply inevitable. Please also remember the technique I am about to give you FREE has helped hundreds of my clients, whether you believe it works or not, it really doesn’t matter, as it will improve your life tremendously whatever you believe, YOU just simply need to run this process. This process re-writes and re-routes the hard-wiring in your brain that dictates how you perceive and react to situations in life. It builds your self-esteem and self-reliance – allowing you to ‘trust yourself’ by recognising negatives and then rewarding yourself, you are training yourself to respond positively to experiences, rather than looking at them critically. You are building self-esteem by continually praising yourself for making the effort to make changes in your life. It allows you to de-construct familiar ‘patterns and triggers’ in your brain – triggers that tend to get repeated every time you find yourself in a similar situation (like a smoker always associating a cigarette with a cup of coffee – imagine how much easier it would be to stop smoking, if the ‘connection’ between a cigarette and a coffee just wasn’t there any more). It gives you control over your emotions, and allows you to choose HOW you want to react in any given situation. Many people feel they have absolutely NO choices in their lives – they feel they are powerless to fight their situation – whether it is an unhappy marriage, clinical depression, fears or phobias – this process puts the ‘control’ back into your hands! Use this technique for all negative thoughts, negative beliefs about yourself, negative feelings. This is not simply positive thinking. The negative trigger removal process isn’t just about ‘positive thinking’ – ; it’s so much more than this, there is a reason for each part and should not be adapted as you will dilute the overall affect. The negative trigger removal process. Stop and congratulate: Stop: when you become aware of a negative or limiting thought or feeling. Congratulate: Thank yourself for ‘identifying’ the negative thought or feeling. Move and positivity: escape from the situation brought on the negative thought or feeling. Positivity: change the thought or feeling to create a positive outcome. You should also say this to yourself ‘I am a confident and calm person’. Enlarge: magnify this positive thought and image, make it more vivid, the colours more vibrant, the feeling even stronger. You should also keep repeating ‘I am a confident and calm person’, the more you say it, the more it becomes you. Stop and congratulate: this is when you become aware that you have just had a negative or limiting thought or experience. The ‘negative feeling or thought’, could even be for example, that you wake up in the morning and the weather is bad so straight away you feel that negative feeling, and in turn think that today is not going to be good, at this point you would need to make a stand and say to yourself ‘Stop’. The next part ‘congratulate’ is very most important part of this removal trigger, and can be quite hard to remember but be persistent, because giving yourself praise is about saying ‘Nice one, you highlighted that negative feeling and have managed avoid it’’ , a great example maybe that someone has helped you avoid making a mistake, if they did, you would be so very grateful of this, so when you say the statement above,say it and mean it as if some one has truly helped you in a special way. Move or State Change: interrupting a pattern of behavior is very well known in Neuro linguistic programming, as a ‘pattern interrupt’.This can help a person to un-associate a thought or trigger from another experience E.g. If you are sitting at home in your favourite chair feeling depressed, get up and move away from your chair it then becomes easier to change how you feel, when you change your situation for a short while. If you’re driving, and unable to move away temporarily, then just tap your leg and say something like ‘Balloon’ or something you wouldn’t normally say, this way you will break away from the normal triggered response and replace the negative thought or trigger to a positive out come. It’s just important that you do something away from the norm to break the initial cycle. Then you will to create ‘Positivity’, this is where you take a few moments to simply re-phrase and amend the negative suggestion/thought into a positive one. E.g. ‘I’m always going to be fat’ could be changed to ‘I’m feeling much more confidant and will soon be slim’ or just simply say ‘I am a calm confident person’, when you change the thought or even the verbalised suggestion you will need ‘visualise’ it as much as you can and truly imagine that it is actually happening. Try to use every sense to really ‘feel and see this changed thought/suggestion. You could imagine a time from a past memory that either went well for you or even a time where you felt really confident, this will make the feelings even stronger. seeing through own eyes, feeling the way you felt and hearing exactly what you heard. Make it big, make it colourful, and just simply turn it up like a dial in your mind. STOP, CONGRATULATE, MOVE, POSITIVE, ENLARGE! A brilliant example: a dieter who has recently given up fatty foods. The dieter may find themselves sitting at home after a hard-days work, and settles down with a nice cup of tea. They used to have a cake whilst drinking tea, so the thought of a cigarette comes into their mind, and they start to crave one. Immediately on noticing the craving (a negative thought ) the person should tell themselves ‘STOP! CONGRATULATE themselves for identifying it and may say well that nearly had me’. They get up (MOVE- STATE CHANGE), move to another chair, and settles down again, you may even go a step further and not drink the coffee. Once settled, They close their eyes and visualise themself as a calm, confident and proud non-smoker (POSITIVE). They then really focus on this feeling, (ENLARGE) it. They then imagine that they feel fitter, healthier, slimmer, richer, more confident etc. They can then feel themselves becoming ‘taller’, ‘stronger’, more colourful etc. The negative trigger removal is a simple process that will completely change the way you respond both mentally and physically to negative thoughts and feelings, getting you out of the rut of ill-health, anxiety, unhappiness… and getting you the life that you really want. This is not something you will need to do forever – it’s like swimming – once you have learned this new way of living, it becomes second nature, an automatic response, something you do without even thinking. Most people are very surprised at first, when they start to use this technique, as they never before realized just how many negative or limiting thoughts and beliefs they suffered from – every single day!. Practice this process solidly and consistently, and you will start to see clear results within just a few days. Through continuous repetition of this process, you will find that it becomes a natural and automatic within just 4 weeks. Go for it and you will notice that not only will you feel calm you will also feel much more confident . You must remember this process needs to be performed with ALL negative thoughts and feelings for it to work not just the ones you choose that fit your symptom, Every negative thought/feeling that enters your mind – remember if you go to the gym you exercise all of your muscles not just one. 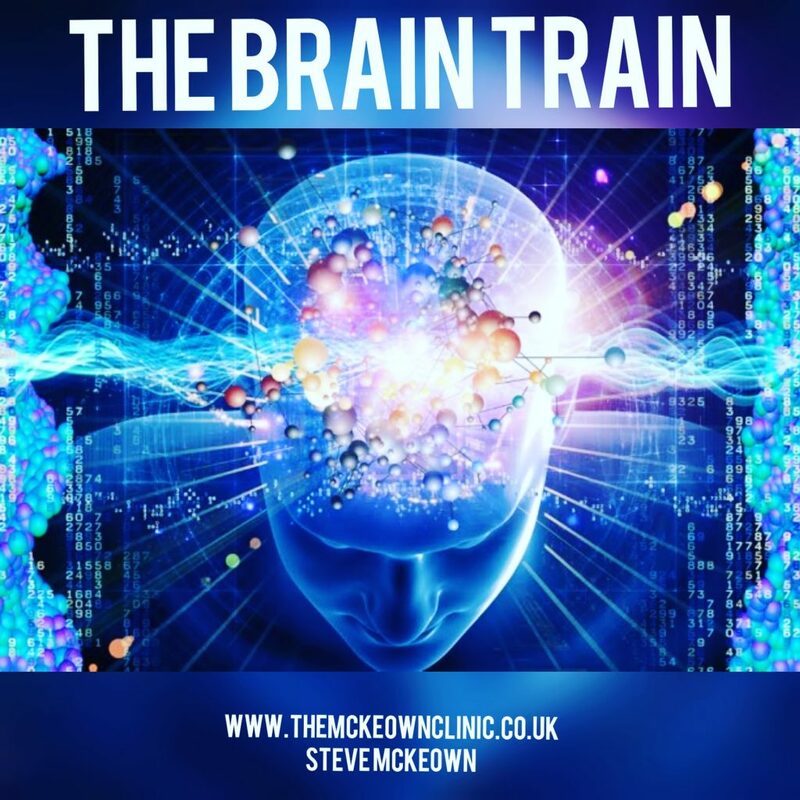 Retrain your brain with Personal Development Coaching! (Clinic based in St Albans, Hertfordshire). The above technique will help with all anxieties, weight issues, stopping smoking, compulsions, obsessions and physical issues such as high blood pressure (please see my blog on hypertension) if used for the period stated for its full potential. Please remember that it is important to follow your doctor’s advice and never under any circumstances stop taking any medication unless stated by your GP or Doctor. Therapy for high blood pressure (hypertension).